In the final sentencing of Lynch the Federal Court made numerous errors and typos to Lynch's detriment. 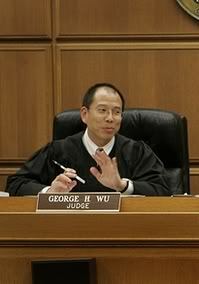 First Judge Wu took over 10 months to write his final sentencing memo and on April 27, 2010 he finally released the memo. 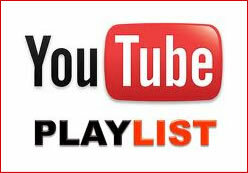 Click here to view the April 27, 2010 sentencing memo. NOTE: The final document is available below this one had errors in it. The court ordered Lynch to appear on April 29, 2010 at Los Angeles Federal Court at 1:30 pm. During the hearing the Judge said he ordered the hearing to sentence Lynch. The judge was reminded that he had already sentenced Lynch on June 11, 2009. The Judge remembered and then continued on and then he said that we would discuss the defendents request for bail pending appeal. The Judge was again reminded that he had already granted Lynch bail pending appeal on June 11, 2009. Lynch is out on a $400,000 bail. The judge agreed and the hearing continued. The prosecutor pointed out that the final sentencing memo had a mistake in the final judgement. The judge had written that Lynch was to be sentenced to 1 year and 1 day on all five counts, when in fact he had ordered at the June 11, 2009 sentencing that on three of the counts, Lynch had been sentenced to time served. The judge concured and said he would fix the errors and reissue the Sentencing Memo and issue his Final Judgement and Commitment Order. On April 29, 2010 the judge issued an edited version of the sentencing memo fixing the sentencing mistakes. Click here to read the April 29, 2010 Sentencing Memo. The Judge also issued the Final Judgement and Commitment Order on April 29, 2010. In the final judgment form it stated that Lynch had pleaded guilty. Lynch quickly notified his attorneys of the mistake and they contacted the court. The mistake was fixed on May 5, 2010. Although Judge Wu made some serious mistakes during the final sentencing of Lynch he was leniant in the sentencing and made many statements in Lynch's favor. "The CSA allows the United States Attorney General to transfer a controlled substance designation from one schedule to another or to remove it from the schedules entirely if it no longer meets the requirements for such inclusion." 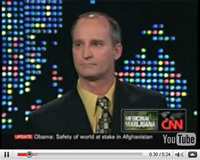 "On March 19, 2009, [Eric} Holder explained that the Justice Department had no plans to prosecute pot dispensaries that were operating legally under state laws." "The USPO’s stated conclusions are highly questionable." "this Court [will] not find Lynch to be an “organizer/leader” for purposes of enhancing his criminal sentence"
"However, this Court would find USPO’s methodology to be based on pure speculation"
"Here, there can be no doubt that the present case falls outside of the heartland of typical marijuana distribution cases for a number of very obvious reasons including..."
"Lynch has raised an argument regarding 'sentencing entrapment/imperfect entrapment' which appears to be what has been labeled in cases as the “sentencing manipulation” defense...Sentencing manipulation, if present, raises a question as to whether there is a due process violation." "This Court would, however, agree with Lynch that,..,” CCCC’s operations were conducted not in stealth but publicly and prominently. Indeed, the vast majority of the evidence presented to the jury was obtained from Lynch’s and CCCC’s records and premises which could have been acquired at any point pursuant to a search warrant which, in turn, could have been procured at any time after CCCC began its operations, since there has never been any dispute that CCCC was openly possessing and distributing marijuana at its store in downtown Morro Bay." "Government has not filed any motion under that provision nor has Lynch claimed to have provided substantial assistance in the investigation or prosecution of some other person." "Thus, when the evidence clearly shows that the defendant in question did and does not present a greater danger to the public (and in fact has greatly reduced the criminality of the involved conduct) and is not likely to recidivate, that individual should not be considered as falling within USSG § 3B1.1 for purposes of an upward adjustment [in sentencing]. in the present situation, Lynch’s activities do not demonstrate an increase of lawlessness, danger to the public or culpability which warrants the application of the mandatory minimum based upon the amount of marijuana involved in his case or the increase in offense level under USSG § 3B1.1. In fact, it is just the opposite. However, it was also noted that 21 U.S.C. § 811(a) allows the Attorney General, by rule, to transfer a controlled substance between the schedules or to remove it entirely in the appropriate situation. Here, both President Obama and Attorney General Holder have indicated the current administration’s position that possession and distribution of medical marijuana in conformity with state law will not be subject to federal enforcement/interdiction. "Consequently, prior to the California Supreme Court’s decision in Mentch, Lynch could have reasonably believed that the CCCC’s operations complied with California law because it was acting in the capacity of a primary caregiver." "...before opening the CCCC, he notified governmental authorities including the City of Morro Bay’s mayor and city council plus various local law enforcement entities such as the county sheriffs and (according to Lynch) the DEA. Consequently, should any governmental authority have believed that some public safety issue or other societal interest warranted the prevention of any commencement of CCCC’s operations, that authority could have sought to enjoin the CCCC from opening. None did. Likewise, Lynch took steps to have CCCC comply with applicable laws such as by obtaining a business license, following federal and state labor statutes, etc." "There was no evidence that anyone ever suffered any injury of any sort as a result of Lynch’s running the CCCC. Lynch kept detailed records of all purchases, sales and other relevant activities of the CCCC (including the identities and other background information as to its suppliers and customers). As a result, his prosecution was greatly facilitated by his own scrupulous record-keeping." "Lynch will be sentenced outside of the Sentencing Guidelines system as his case is clearly outside of the heartland for his crimes. The Court orders Lynch to serve the term of one year and one day as to Counts One, Two and Three (with those sentences to run concurrently) and to “time served” as to Counts Four and Five. Pursuant to USSG § 5GI.2(c), the Court finds that the sentence imposed on the count carrying the highest statutory maximum is adequate to achieve the total punishment. In addition, upon completion of that incarceration, Lynch is to be placed on supervised release for a period of four years as to Counts One through Four and a period of three years as to Count Five, with those terms to run concurrently." "There is nothing in Lynch’s background which indicates a propensity toward criminal or anti-social behavior. Indeed, but for the passage of the CUA and MMPA, it is apparent that he would not have opened the CCCC or been involved in any substantial distribution of marijuana. 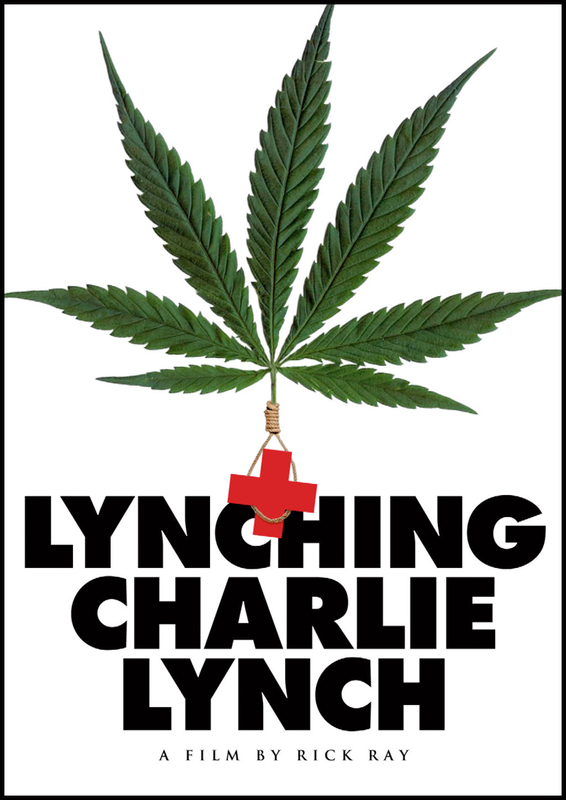 Further, as recognized by the USPO, Lynch’s purpose in engaging in the subject conduct 'was to provide marijuana to those who, under California law, [were] qualified to receive it for medical reasons.' He was not 'a common drug dealer buying and selling drugs without regulation, government oversight, and with no other concern than making profits.'" "While simple popularity is not a factor to be considered, the Court notes that it has received more letters in support of Lynch in this matter than in any other case in the undersigned judicial officer’s 16 years on the federal and state benches. That correspondence is from persons who are or were: Lynch’s family members and friends, his former employers, customers of the CCCC, prospective and selected jurors in this criminal case, a CCCC employee who had been accused of criminal activity in regards to the incidents in this case, a defendant in another medical marijuana case litigated in this federal district court (Judy Osborn), California physicians and health care therapists interested in the medical marijuana issue, various members of this country’s armed forces, law enforcement officers, etc." "There is no indication that Lynch needs any incarceration time to deter him from any future crimes. Nevertheless, as already noted, this court will be sentencing Lynch to prison. Because he has never experienced any extended detention, the period of one year and one day is more than adequate punishment in his case. Finally, given Defendant’s education, work experience and health, incarceration is not necessary to provide him with 'needed educational or vocational training, medical care, or other correctional treatment.'" "Individuals such as Lynch are caught in the middle of the shifting positions of governmental authorities. Much of the problems could be ameliorated - as suggested in Raich, id. at 33 - by the reclassification of marijuana from Schedule I." On May 6, 2010 Lynch's Federal Public Defenders filed an appeal with the 9th Circuit cout of appeals. Lynch is currently out on $400,000 bail and working from his home in New Mexico. His CA home was sold at public auction, and has not found gainful employment recently during his battle with the Federal Government. Your support and contributions are greatly appreciated.